6146 Tube - article by Glen, K9STH, on the various versions of the 6146 and its implications in various rigs. In PDF format. Boatanchor - origins of the term. 3 opinions from the internet. The SWAN Virtual Museum - The purpose of this web page is to gather and display as much information as possible regarding the complete line of SWAN ENGINEERING / ELECTRONICS amateur radio equipment and accessories. Boatanchor Pix -"Boatanchor" is amateur radio slang for heavy old tube radio equipment. Originally derogatory, the term is now used affectionately. Seeing an old set working like new after careful repair, cleaning, and alignment gives one great satisfaction. CCA Collins Technical Archives - Collins Radio Equipment Manuals available for downloading. Electric Radio Magazine - Welcome to Electric Radio Online, where you can subscribe to the popular Electric Radio magazine which is published primarily for those who appreciate vintage radio gear and those who are interested in the history of radio. electron Tube Data sheets - Tube (valve) data here. Frank's Electron tube Pages - Besides tube data there are some extra pages with tube related stuff. GE Ham News issues: 1946--1963 - Click on the Volume Number or cover image to display the full issue in PDF format. The Hallicrafters Collector - Hallicrafters info and pics. Heathkit RF Amplifiers - Schematics for Heahkit amps. In PDF format. Heathkit Virtual Museum - a tribute to the Heathkit era—a time when building electronic kits was a favorite pastime for many electronics hobbyists. This commemorative virtual showcase takes you back to the Heathkit age which began in the late 1940's and lasted through the early 1990's. K4OZY's Boatanchor Home Page - downloadable manuals and info... CHECK IT OUT! K9STH - good boatanchor info. Vintage Manuals, Inc - W7FG Vintage Manuals is your #1 source for vintage radio, audio and test equipment manuals. The Museum of Radio and Technology, Inc - Interested in Antique Radios? Visit the Museum of Radio and Technology in Huntington, West Virginia near the tri-state corner of West Virginia, Ohio, and Kentucky. The National Valve Museum - You probably would not think of building a radio detector from a light bulb, but that is what Ambrose Fleming did over 100 years ago in 1904. Nostalgic Kits Central -The era of electronic kits started (with a few minor exceptions like Stancor) after the end of WWII. WA3KEY Virtual Collins Radio Museum - Collins Radio Company, with more than 30 years' experience in research, development and manufacture of distinctive amateur equipment, has dedicated itself to the objective of product excellence. Stay Tuned - Welcome to the "Stay Tuned" Crystal Radio Web Site. Dedicated to the preservation, experimentation, and advancement of crystal radios. W2DTC.COM - Pics of old radios, hamfests, projects and other things. Vacuum Tubes - Theory of vac tubes. covers all kinds of vacuum-tube electron devices, especially receiving tubes. The BoatAnchor Manual Archive - This is a mirror of the manuals available at the BAMA archive. These manuals are available for download and free of charge. The PHASITRON Web Page - Welcome to the PHASITRON vacuum tube web page! K4NYW Vintage Ham Radio - Vintage Radio, Vintage Cars, Vintage Brain. VirtualValve Museum - good place to start if you're looking for tube (valve) data. 50 Mhz Prop Logger - The Propagation Logger is for 50 Mhz Propagation Reports or Alerts ONLY! Amateur Radio Propagation Studies - this webpage features the world of unusual radio propagation phenomena in amateur radio. Six Club - Welcome to the New Six Club Website. EchoLink - EchoLink® software allows licensed Amateur Radio stations to communicate with one another over the Internet, using streaming-audio technology. MRX Morse Code - for Windows 95 through Windows 7 is a program designed to teach morse code RECEIVE and TRANSMIT using the benefits of Multi-Media PC technology. EasyPal Digital SSTV - it is currently the "Bee's Knees" of Digital SSTV (Slow Scan TeleVision) programs for the PC ! JVComm32 - multi-purpose FAX, RTTY / SYNOP / NAVTEX and SSTV program for Windows. NAVTEX decoder - software decoder for NAVTEX transmissions. All you need is a shortwave radio and a computer to begin decoding signals yourself. Sigmira 1r6 - a Software Defined Radio (SDR) application that offers wideband spectrographic, waterfall, and phase plane displays. It also demodulates various military, utility, and "ham" radio signals. ZL1BPU - mostly about new, different, and specialized radio communication modes. DXLab Suite - DXLab is a freeware suite of eight interoperating applications that can be installed independently in any order. When multiple applications are running, they sense each other's presence and automatically interoperate to support your Amateur Radio DXing activities. Tools to Help Beacon Listeners - There are a number programs available to help beacon listeners figure out which beacon is transmitting on which frequency at any given time. DF1ZN's site - software and more. Great Circle Maps - software for making your own. Tonne Software - offering a collection of original engineering software. EI8IC's Ham Radio Resources Website - Global Overlay Mapping program for Hams... NICE! G4ILO's Shack - VOAProp program... shows you typical propagation for a given hour of the day during a given month. Tone Generator - This program is designed to generate audio tone(s) using your sound card. N1MM Logger - N1MM Logger is the world's most popular contest logging program. DX Soft - Windows Ham Radio Software. NØHR.com - NØHR.com is the home of MobileLog and PPCMorse - ham radio software utilities for PocketPC PDAs. The world of QRP amateur radio - web site dedicated to all things qrp and homebrew.Whether it be in the shack or out portable or mobile, I hope the following pages have something of interest for both the seasoned amateur and newcomer alike. HF Digital Decoding - While tuning around the HF bands, you are very likely to hear a variety of squawks, beeps and other sounds that, at first, defy description. WN3WVG - Amateur radio software. Some are free, some are not. Droidhams - Yahoo Group for hams that have Androids. Amateur Radio Callsign DB - allows you to quickly and easily lookup license data for U.S. amateur radio callsigns. Amateur Radio Exams 1.0 FREE! 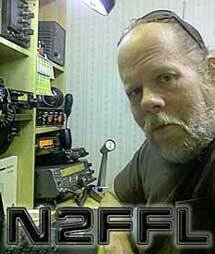 - Practice for your FCC license exam, ham radio exam, or also called amateur radio exam. APRSdroid - an Android application for Amateur Radio (HAM) operators. It allows reporting your position to the APRS-IS network and displays nearby stations as a list or on a map. Cloud RF - radio coverage - "VHF-UHF radio planning in your pocket." EchoLink for Android - EchoLink for Android is an edition of the EchoLink software that runs on an Android smartphone or tablet. EchoLink - another Echolink app. EchoLink Finder - Finds EchoLink nodes near a given location and shows them on a map. Grid Locator - Instantly show the current grid location based on your phone's GPS. Ham - Solar / calculated band conditions & Callsign lookups via QRZ.com XML subscription. Ham Radio - Our Ham Radio application is a Glossary of Amateur radio terms and acronyms. * Technician (effective till 2014-06-30) * General (effective till 2011-06-30) * Extra (effective till 2012-06-30. Ham Radio Tools - Ham Radio Tools is a simple program that is to assist ham radio operators. Ham Radio Tools comes complete with a contact log and handy calculators and tables that will assist the beginning ham operators and even the pros. HamSatDroid - This software predicts future passes for amateur radio satellites for a specified location and period of time. It runs on the Android operating system (v 1.5 and above). HFBeacon - a simple application which informs the user which HF propagation beacon is transmitting at the present time. IRLP Finder - This app will display the nearest IRLP nodes on a map. Maidenhead Grid Locator - Locator App was developed for HAM Radio use. Morse Code Teacher - Have fun learning Morse Code on your Android Smart phone! NKCCluster - a radio-amateur DX cluster (DX Spider, AR-Cluster, DxNet, CC Cluster, and CLX compatible) client. Police Radio - Police Radio lets you listen to police, emt, and fire radio broadcasts from your phone. Police Scanner Radio - FREE Police Radio Scanner lets you listen to Police scanners in your area. QRZ2U - QRZ2U is a social network specifically for amateur radio operators, shortwave listeners and associated radio communication enthusiast. This app will allow you to access the network. Repeater Range - FOR UK ONLY...The the app listens to the onboard GPS and displays the bundled repeater database as a simple list. Res-Q Radio Lite - allows you to listen to amateur radio, public safety radio and other communication streams from around the world right on your smartphone. RF Calculator - A handy tool for calculating RF Equations and conversions. Scanner Radio - Listen to live audio from over 2,500 police and fire scanners, weather radios, and amateur radio repeaters from around the world (with more being added daily). Signals - provides a quick and simple reference to various communications signals, such 10/11 Codes, Morse Code, Phonetic Alphabet, Police Color/Penal Codes, Q-Signals, and more. SMS2CW - a free tool to convert incoming SMS or TXT messages into audible Morse code. Space Weather - Most comprehensive and complete space weather app on the market. Solaris Alpha - Realtime 3D views of Earth's aurora and the ultraviolet Sun, at your fingertips. Sun Alert - Get daily updates of solar flares. SunSpots - Solar observatory in your hand. Wolphi Solutions - NCDXF Beacon, DX Cluster, Morse Trainer and more. Capacitor types - an overview, information or tutorial about the different capacitor types looking at different types of capacitor and their construction, specifications and parameters. Electronics Calculators - online calculators for just about everything under the sun! Radio Adventures Company - Unique Ham Radio Equipment, Components, Kits, and Accessories For Both The Amateur Radio and Commercial Radio Markets. 7 MHz SSB Transceiver - The transceiver described here is remarkably simple based on popular communication building block MC1496. FUN WITH TUBES - a noncommercial site operated by Max Robinson and dedicated to passing on and preserving knowledge of vacuum tube circuits and techniques. Homebrew Your Own Inductors! - from the ARRL. PDF file. Transmitting Air Variable Caps - build your own! RADIO ANARCHY - The Guerrilla transmitter is presented. The simplest way to get several watts of RF on the air. Use an external audio amplifier in the modified Heising modulation method. Homebrewing Zone - collection of articles & circuits related to homebrewing. Ham Radio Projects - many projects for you to build. N5ESE's GIZMOs - For the QRP Homebrewer and Ham Operator. NTE Cross Reference Search - From this one search tool you can now find replacements for over 514,000 industry devices... Semiconductors, Resistors, Relays and more. IK3OIL - devoted to those who share with me an interest in Amateur Radio homebrewing. Ham Radio Homebrew - Antennas to build and more. Ashhar Farhan VU2ESE - homebrew transceivers, experiments, DSP. 6L6 TRANSMITTER - a simple transmitter. Ham Radio Projects - RF VOX (COR); VHF (UHF) strip-line reflectometer; Motorola AN762-based Broad Band HF Linear Amplifier. Bunker of Doom - Information for Retro-Tech Hobbyists and Hardware Hackers. S-Meter Ham Site - Check your signal and listen to others on remote receivers. Read thousands of pages of ham radio information. Download virus-free radio-related design programs. 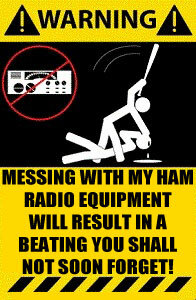 Hamuniverse.com - Your Ham Radio Universe of fun and information for amateur (ham) radio. RadioReference.com - the world's largest radio communications data provider, featuring a complete frequency database, trunked radio system information, and FCC license data. RadioReference is also the largest broadcaster of public safety live audio communications feeds. Find all of your scanner freqs here! eHam - tons of links, articles, forums etc. American Radio Relay League - ARRL, the national association for Amateur Radio, is the largest organization of radio amateurs in the United States with approximately 163,000 members. Radio Society of Great Britain - RSGB is the UK's internationally recognised national society for all radio amateurs. Radio Amateurs of Canada - RAC is Canada's National Amateur Radio Society. Global Tuners - GlobalTuners provides access to remotely controlled radio receivers all over the world. You can listen to- and tune the receivers after you have created a (free!) account. Electronics Index - electronics, transistors, experiments, circuits, semiconductors, diodes, optoelectronics, operational amplifiers. W4JNW - This website is intended to be a Beginner's Guide to Amateur or "Ham" Radio. The Internet Movie Radio Database - This website is dedicated to Amateur ("Ham") Radio and other types of two-way radio communication products found in movies and television shows. IRC #CQDX Chat Channel -This page provides information on how to access and participate on the IRC #CQDX ham radio chat channel. Ham Radio Online - This blog is for the amateur radio community to use and to catch up on the latest happenings. Ham Radio Community Chapter - Place for amateur radio operators to learn more about the ham radio hobby, share photos, ham radio webcams and more. HamTestOnline - Online courses for the ham radio license exams. Amateur Radio Wiki - This site aims to enable ham operators and curious alike to document, share and explore the fantastic world of amateur radio. Microphone Connections - mic connection diagrams and info for loads of rigs! Fonts for Amateur Radio - fonts with slashed zero and morse code fonts. FCC Part 97 - Amateur Rado Service. PDF file. K1TTT Station Wiki -programs for propagation prediction, utilities for use with the CT contest logging program, and for the PacketCluster network software and more! Ham Computing - Enabling you to bring ham radio and computing together with ease. Piexx Company - At Piexx Company, we design and build custom electronics for clock enthusiasts, Juke Box collectors and the ham radio community. HamDepot - Here you will find continually-updated listings of U.S. Amateur Radio Clubs, Repeaters, and Dealers. Time Zone Map - showing current time zones from across the world. Java Circut Simulator - This java applet is an electronic circuit simulator. When the applet starts up you will see an animated schematic of a simple LRC circuit. W5WWW - Home of Ron's world. The Repeater Builder's Technical Information Page - an informational help site by Kevin Custer W3KKC. This is the largest repeater information site in the world! KB2LJJ - Radio mods, manuals, books & info. DXing.com - Universal Radio Research is pleased to sponsor this informative website for radio enthusiasts. G4ILO's Shack - Stealth ham radio, APRS, low power operating, free Morse code training and HF propagation software. Communication Concepts, Inc - We provide components to the amateur who wants to construct their own gear and to the professional who wants to save money and time in prototyping their circuit design. Science Toys - Make toys at home with common household materials, often in only a few minutes, that demonstrate fascinating scientific principles.